We hold these truths to be self-evident, that all men are created equal, that they are endowed by their Creator with certain unalienable Rights, that among these are Life, Liberty and the pursuit of Happiness. —That to secure these rights, Governments are instituted among Men, deriving their just powers from the consent of the governed, —That whenever any Form of Government becomes destructive of these ends, it is the Right of the People to alter or to abolish it …. [W]hen a long train of abuses and usurpations, pursuing invariably the same Object evinces a design to reduce them under absolute Despotism, it is their right, it is their duty, to throw off such Government, and to provide new Guards for their future security. The STATE IDEA, the authoritarian principle, has been proven bankrupt by the experience of the Russian Revolution. If I were to sum up my whole argument in one sentence I should say: The inherent tendency of the State is to concentrate, to narrow, and monopolize all social activities; the nature of revolution is, on the contrary, to grow, to broaden, and disseminate itself in ever-wider circles. In other words, the State is institutional and static; revolution is fluent, dynamic. These two tendencies are incompatible and mutually destructive. The State idea killed the Russian Revolution and it must have the same result in all other revolutions, unless the libertarian idea prevail…. … There is no greater fallacy than the belief that aims and purposes are one thing, while methods and tactics are another, This conception is a potent menace to social regeneration. All human experience teaches that methods and means cannot be separated from the ultimate aim. The means employed become, through individual habit and social practice, part and parcel of the final purpose; they influence it, modify it, and presently the aims and means become identical. — My Disillusionment in Russia (1923). Here in this secessionist republic of one, we honored this international revolutionary holiday with a pleasant afternoon Feeding The Revolution with Food Not Bombs. And — given the overlap in the festival days to-day — we’ll also with some commemorative Shamelessness. How about you? What have you been up to this week? Write anything? Leave a link and a short description for your post in the comments. Or fire away about anything else you might want to talk about. 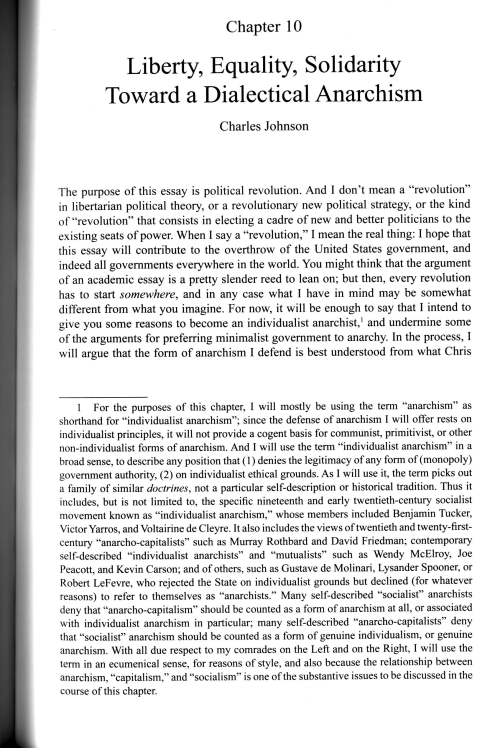 Update 2010-03-02: The full text of Liberty, Equality, Solidarity: Toward a Dialectical Anarchism is now available online. Huzzah! Here’s what I got in the mail Monday afternoon. It took a week longer to reach me than it did to reach Roderick; I don’t know whether that’s one of the perks of being an editor rather than a mere contributor like me, or simply because I’m way out west and he’s in Alabama. The purpose of this essay is political revolution. And I don’t mean a revolution in libertarian political theory, or a revolutionary new political strategy, or the kind of revolution that consists in electing a cadre of new and better politicians to the existing seats of power. When I say a revolution, I mean the real thing: I hope that this essay will contribute to the overthrow of the United States government, and indeed all governments everywhere in the world. You might think that the argument of an academic essay is a pretty slender reed to lean on; but then, every revolution has to start somewhere, and in any case what I have in mind may be somewhat different from what you imagine. For now, it will be enough to say that I intend to give you some reasons to become an individualist anarchist,1 and undermine some of the arguments for preferring minimalist government to anarchy. In the process, I will argue that the form of anarchism I defend is best understood from what Chris Sciabarra has described as a dialectical orientation in social theory,2 as part of a larger effort to understand and to challenge interlocking, mutually reinforcing systems of oppression, of which statism is an integral part—but only one part among others. Not only is libertarianism part of a radical politics of human liberation, it is in fact the natural companion of revolutionary Leftism and radical feminism. My argument will take a whole theory of justice—libertarian rights theory3—more or less for granted: that is, some version of the non-aggression principle and the conception of negative rights that it entails. Also that a particular method for moral inquiry—ethical individualism—is the correct method, and that common claims of collective obligations or collective entitlements are therefore unfounded. 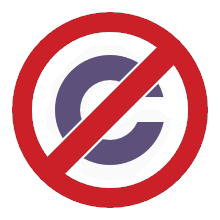 Although I will discuss some of the intuitive grounds for these views, I don’t intend to give a comprehensive justification for them, and those who object to the views may just as easily to object to the grounds I offer for them. If you have a fundamentally different conception of rights, or of ethical relations, this essay will probably not convince you to become an anarchist. On the other hand, it may help explain how principled commitment to a libertarian theory of rights—including a robust defense of private property rights—is compatible with struggles for equality, mutual aid, and social justice. It may also help show that libertarian individualism does not depend on an atomized picture of human social life, does not require indifference to oppression or exploitation other than government coercion, and invites neither nostalgia for big business nor conservatism towards social change. Thus, while my argument may not directly convince those who are not already libertarians of some sort, it may help to remove some of the obstacles that stop well-meaning Leftists from accepting libertarian principles. In any case, it should show non-libertarians that they need another line of argument: libertarianism has no necessary connection with the vulgar political economy or bourgeois liberalism that their criticism targets. The threefold structure of my argument draws from the three demands made by the original revolutionary Left in France: Liberty, Equality, and Solidarity.4 I will argue that, rightly understood, these demands are more intertwined than many contemporary libertarians realize: each contributes an essential element to a radical challenge to any form of coercive authority. Taken together, they undermine the legitimacy of any form of government authority, including the limited government imagined by minarchists. Minarchism eventually requires abandoning your commitment to liberty; but the dilemma is obscured when minarchists fracture the revolutionary triad, and seek liberty abstracted from equality and solidarity, the intertwined values that give the demand for freedom its life, its meaning, and its radicalism. Liberty, understood in light of equality and solidarity, is a revolutionary doctrine demanding anarchy, with no room for authoritarian mysticism and no excuse for arbitrary dominion, no matter how limited or benign. . . .
—  Liberty, Equality, Solidarity: Toward a Dialectical Anarchism in Roderick T. Long and Tibor Machan (eds. 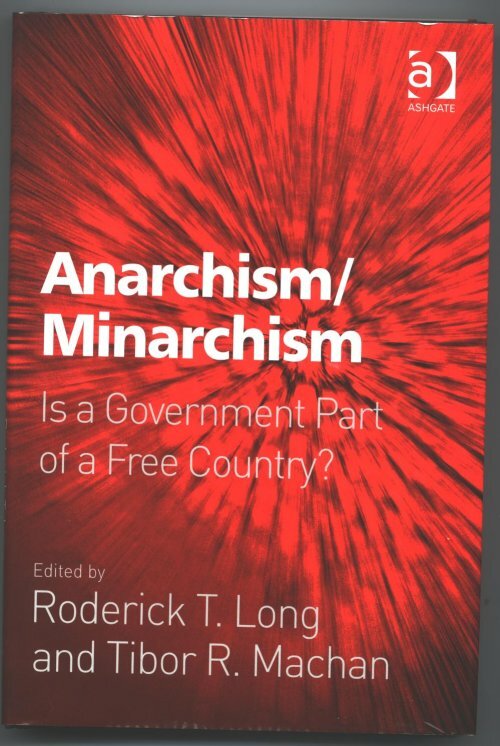 ), Anarchism/Minarchism: Is a Government Part of a Free Country . Ashgate Press, ISBN 978-0-7546-6066-8. 155–157. The good news, for those whose interest is piqued and who would like to read the whole thing, is that the book is now available for pre-ordering and will be shipped somewhere around the end of the month. The bad news is that it’s about $80.00 for the hardcover edition, which is, for the time being, the only edition there is. (If you’re interested in reading the essay but are unlikely to have the bread to buy the book anytime soon, contact me privately.) In any case, for those who do get a chance to read the essay, I’d be glad to hear what you think, or any questions you may have, in the comments section at this post. For those who may be curious, here’s my attitude towards the Ron Paul primary campaign. I would not vote for Ron Paul, even though I don’t have any in-principle objection to voting defensively in government elections. The short explanation is that I don’t vote for anti-abortion candidates, and I don’t vote for candidates who are significantly worse than the status quo on immigration. Unfortunately, whatever it’s other merits, Ron Paul’s campaign features both of these poison pills. On the other hand, currently he is running in a primary, and so to some extent I wish, without much hope, that he might somehow manage to defeat his current opponents, i.e., the other Republicans, i.e., that bunch of howling bare-fanged war-fascists. But that’s about all the enthusiasm I’ve got. Many anti-war types and many libertarians are getting positively gleeful about the campaign, claiming that even if Ron Paul has little real hope for electoral victories, the campaign will at least provide a platform for outreach and education about libertarian and non-interventionist ideas, both through media notoriety and also through attracting an obviously enthusiastic and organizationally clever following of base supporters. 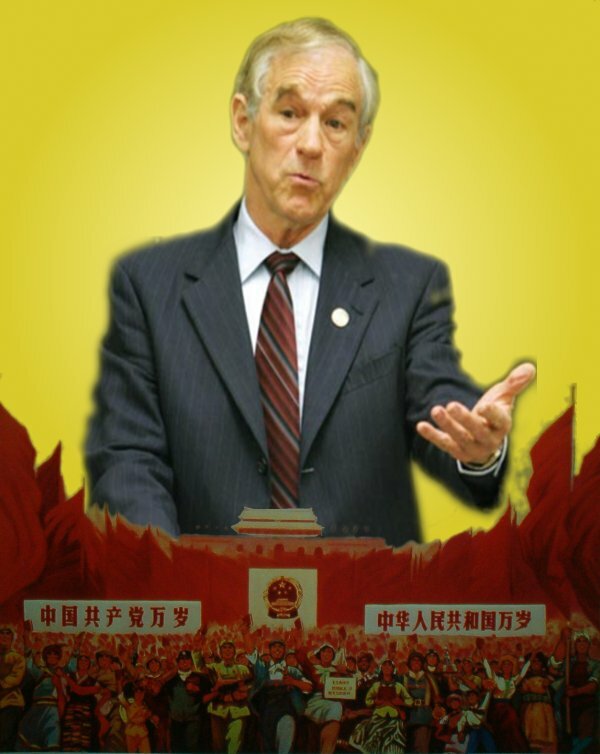 For my part, I certainly hope that the Paulians learn something in the process, but the first problem is that Ron Paul’s positions, however preferable a select set of them may be to the positions espoused by the rest of the pack, are not libertarian; they’re Constitutionalist, which is something different. He can’t even always be counted on to mount principled, non-legalistic arguments against the war, and that issue’s the centerpiece of his campaign. The second problem, even setting aside the ideological differences, is that the usual dynamics of electoral horse-racing, and the sometimes ridiculous tone of uncritical personal adulation toward Ron Paul’s personal virtues and the shining radiance of Ron Paul Thought, give me a lot of reason to fear that whatever lessons are drawn may very well be the wrong lessons, and that in any case the enthusiasm and activity around his campaign is likely to collapse into frustrated torpor more or less immediately after their sole vehicle for activism, the Ron Paul political machine, closes down for the season, and stays shuttered for the rest of a multiyear election cycle. Unless something changes, but soon, I see no reason to believe that the flurry of activity, as exciting as it may seem, is going to survive the end of this one maverick candidate’s personal electoral prospects. But it is unreasonable to expect most of the target audience, having been successfully persuaded that Ron Paul is the candidate to support, to then go through the trouble of seperating the wheat from the chaff and come to the self-realization that implicit in Paul’s message of liberty is the notion that our focus should not be on selecting a candidate with admirable qualities such as honesty, integrity, and devotion to constitutional limits on government, but instead our focus should be on the inherent threat to liberty of the system itself, regardless of who happens to be temporarily at its helm. Bundling these two things together involves a self-contradiction between the medium and its message. Expecting people to ignore that contradiction, expecting people to hear the message we actually intend to send while rejecting the message of the medium itself, is expecting too much. Meanwhile, in the comments section, in order to prove that Ron Paul’s supporters really are approaching this from the standpoint of fair-minded principle, really are making the necessary careful distinctions, and really are putting principled concern for liberty over electoral politicking and partisan cheerleading, an anonymous paleo comes along in the comments to reply that You beltway libertarians are morons and that Micha’s remarks sound like the uninformed commentary of Hillary Clinton pollster. Well, I guess it’s a fair cop. What could be more inside-the-Beltway than considered opposition to making an incumbent Congressman’s candidacy for the Presidency of the United States the main vehicle for your social and political vision, or encouraging means of activism, education, and resistance that bypass the machinery of the federal government? 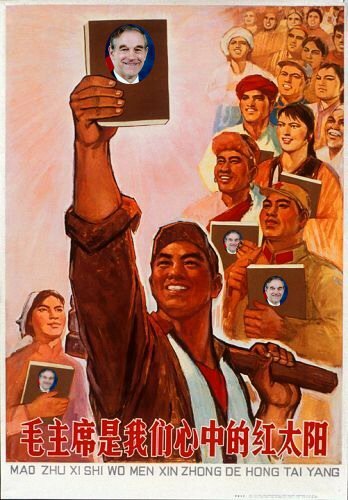 Long live our great leader Chairman Ron! Chairman Ron is the Red sun of our hearts! 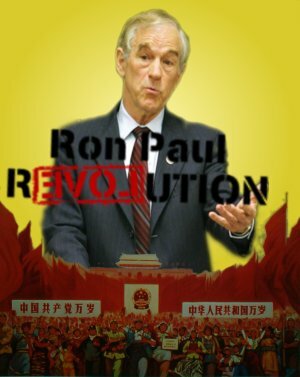 Hold high the great red banner of Ron Paul Thought–thoroughly smash the rotting counterrevolutionary revisionist line in Constitutional law!